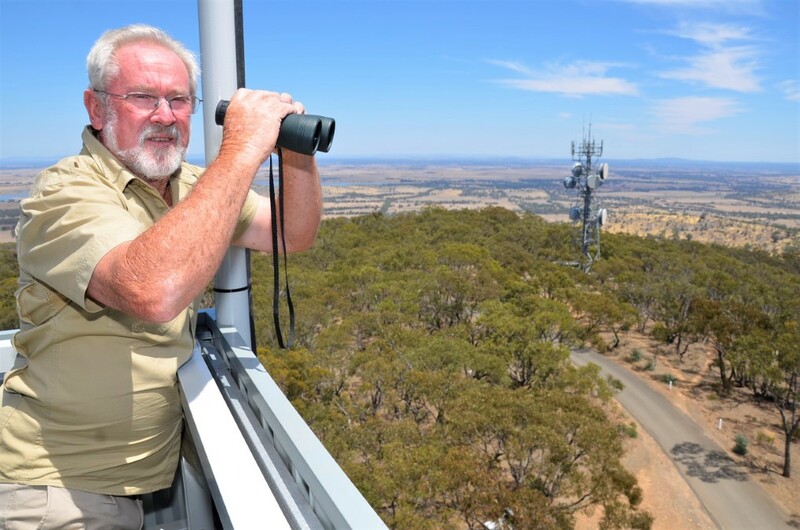 Life has become far more comfortable for local fire spotter Peter Skilbeck since the brand new observation cabin was craned into place atop the historic Mount Tarrengower fire spotter’s tower. As Mr Skilbeck celebrates the Maldon tower’s 95th anniversary this weekend he will be doing so in comparative luxury from 20 metres up – with a view of about 100 km in all directions. 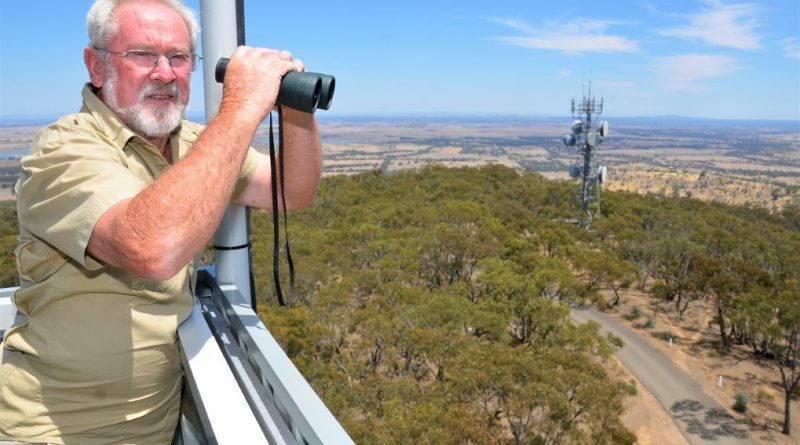 His vantage point is one of 74 towers strategically sited across the state, enabling spotters to detect the first signs of fire. 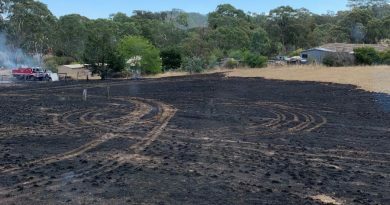 Firefighting crews at the scene of a grassfire off the Midland Highway at Harcourt on Monday. 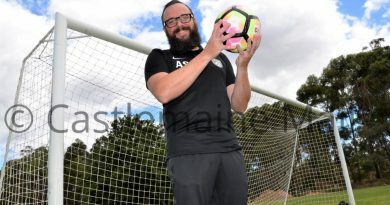 Photo: Kerri-Anne Schnoor.